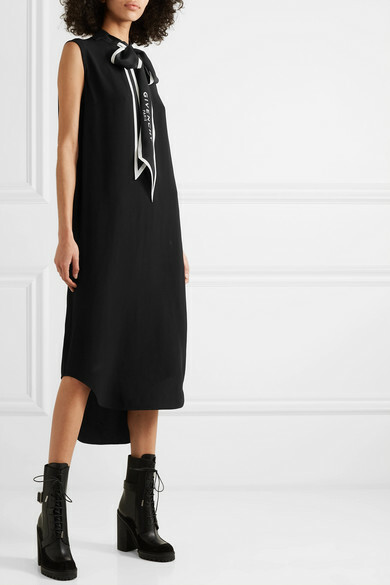 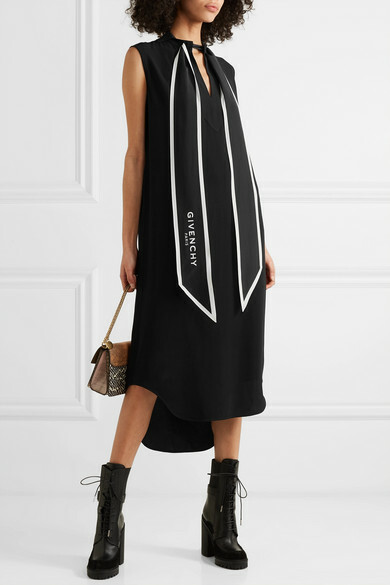 A chic way to incorporate the house's logo into your outfit, Givenchy's tunic has a floaty silk-chiffon neck tie that can be styled in a multitude of ways - knot it into a bow or remove it completely and wear as a head scarf. 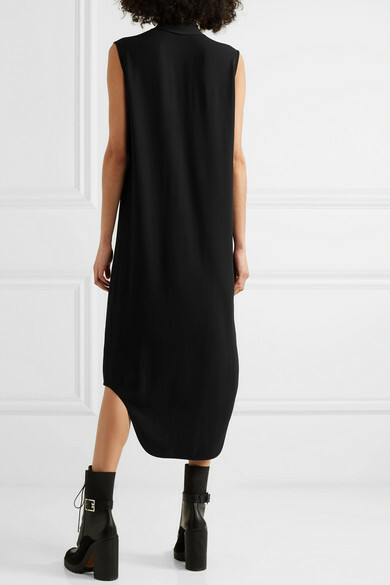 Made in Italy from crepe, it has a loose shape and dipped hem. 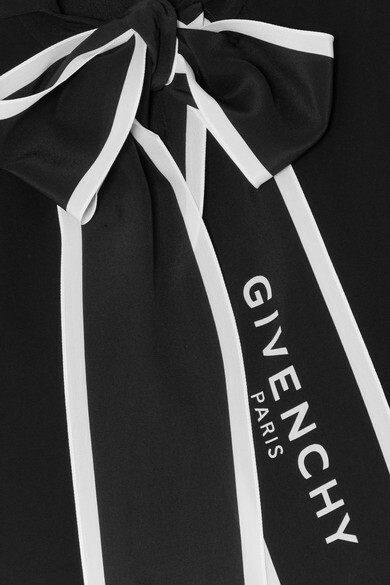 Layer yours under blazers and jackets.